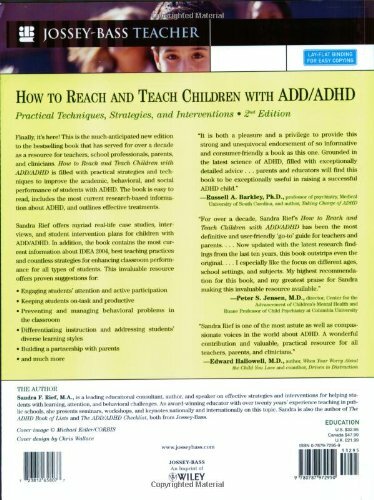 A MUST workbook for Therapists and School Counselors called upon to write Behavioral Plans for Children with ADD/ADHD or for parents wanting help at home managing their child!! 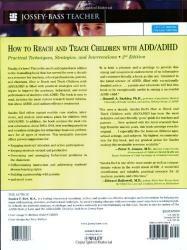 Teachers and parents alike will love you for the practical Behavioral Plans that can be written by consulting this book. 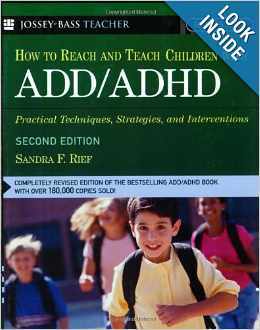 It is comprehensive resource that addresses the "whole child, " as well as the team approach to meeting the needs of students with attention deficit hyperactivity disorder. 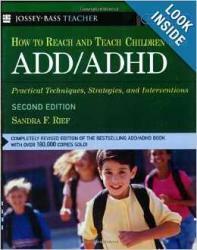 Includes management techniques that promote on-task behavior and language arts, whole language, and multi-sensory instruction strategies that maintain student attention and keep students involved.